When you create a new system, the first step isn't how to design the program's codebase, or what functions and I/O calls you will need to make. The firs step should be to ask "what will the user need to do with this system?" That question drives the design decisions of how the user will interact with your program, and how your system will provide feedback to the user. Unfortunately, there are too many examples where system designers choose to shove more functionality into the application, because they can. But when you have too much information, or when the information is too dense or obtuse for an average user with typical knowledge to understand, your design becomes an impediment to understanding. Perhaps a beautiful impediment to understanding, but an impediment nonetheless. And so it is with all applications and interfaces. While my blog focuses on open source software and free software, poor usability is not a phenomenon limited to free software. Proprietary systems have this problem, too. For example, car in-dash systems. Most modern cars today have some variant of an interactive dashboard; it seems the venerable knob or the reliable switch is about to disappear. In-dash systems provide a wonderful opportunity for car designers; they can add control interfaces for all kinds of things: entertainment, environment, navigation, and other car systems. But it turns out, drivers don't want that. According to a recent usability study by automotive market research firm SBD, drivers only want to access music and navigation via the in-dash interface. Anything else is just visual noise, clutter that obscures the critical functionality that drivers are looking for. Look at it this way: if you're driving down the freeway at 60 MPH, do you want to spend the next 30 seconds or a minute exploring menus of extraneous functionality just to find the feature you want? A lot can happen in a minute when you're traveling at that speed. That's a mile for a deer to walk across the road, for another driver to change lanes, for traffic to back up. And all you wanted was to select a radio station on satellite. "We were very enamored with the Tesla. Not being tech -savvy, I found the icons were huge and easy to use while driving and while parked," said Tina, another focus group member. "It was a fascinating system to me, and I'd seek that one out [as a car buyer]." But perhaps my favorite quote from the article spoke to the issue of building too much complexity into what should be a simple system, for the sake of adding new features: "As an industry, we're striving to develop Swiss Army knives instead of the spoons our customers want," Hart [Andrew Hart, head of advanced research at SBD] said. Don't build a Swiss Army knife when you just need a spoon. Build a great spoon instead. News about this has been out for some time, but in case you hadn't heard, I wanted to direct your attention to this item: the Linux Foundation announced in March that it would be working with edX, a non-profit online learning site governed by Harvard and MIT, to make its “Introduction to Linux” course free and open to all. While this isn't specifically related to Open Source Software and Usability, I think it's great that edX and LF will help make Linux training available to everyone. 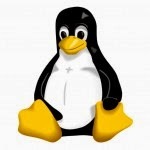 From the edX site: "Upon completion of this training you should have a good working knowledge of Linux, from both a graphical and command line perspective, allowing you to easily navigate through any of the major Linux distributions. You will be able to continue your progress as either a user, system administrator or developer using the acquired skill set." Classes start in August (2014). edX expects that students would spend anywhere from 40 to 60 hours to cover the course content.